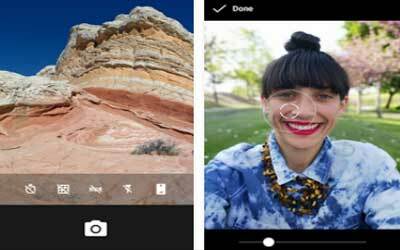 Previous version Google Camera 4.4.020.163412804 apk for Android will help you to downgrade or install older app easily. This is one of the best Photography apps. The Photo Stitching feature will allow you to create many effects to your pictures such as wide angle images, panorama images, and fisheye images. The Lens Blur feature will easily control the depth of field of the camera. The camera will be more focus on one object and blur the background. The HDR+ feature will improve the quality of the picture even in low light condition. The Android Wear feature is going to allow you take pictures from a distance by only tapping the device of Android Wear. As for the Video Shoot feature, it is obviously capable to capture HD video with ease. Google Camera for Android can be installed in any Android smart phone and Android tablet as long as the OS of the gadget is Android 4.4+ (KitKat) or above. This app has Photo Sphere and Panorama feature but they can only be used if your gadget is completed by gyro sensor. Beside of that, to operate the Photo Sphere and Panorama feature plus the Lens Blur feature, your gadget must have at least 1GB of memory. HDR is much faster now. The only question is if the battery is suffering more when using the camera.